RPS guarantees that all of the segmented wear surfaces are fully replaceable for the life of your car. 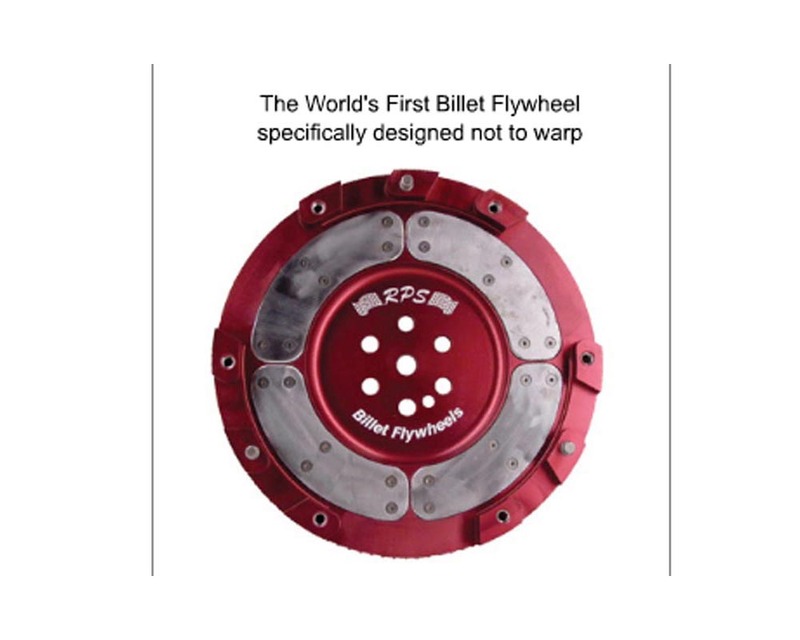 CYN-R-G Segmented flywheels utilize a patented (6,793,057) "segmented" heat shield system. Traditional heat shields warp because of the uneven heat produced by a slipping clutch. Just like a car going around in a circle, the outside tires go faster than the inside tires, the clutch disc slides faster around the outside of the flywheel than it does around the inside. The faster moving outside surface gets hotter than the inside surface. Because metal expands more the hotter it gets, the outside of the heat shield expands more than the inside. Traditional heat shields are made of one piece metal rings, so when the outside expands more than the inside, the only thing the shield can do is warp. The CYN-R-G Segmented heat shields are not connected so they can expand and contract without warping. A warped heat shield causes the clutch to slip, which causes more heat and more warpage. RPS flywheels are typically 10 to 15 lbs. lighter than the factory units which allows up to 20 more HP to get to the wheels! !